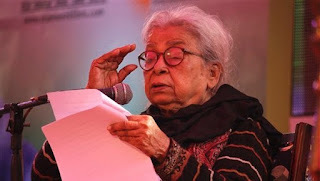 Eminent writer and social activist Mahasweta Devi died on Thursday. She had suffered a major heart attack on July 23. The 90-year-old was a recipient of the Sahitya Akademi Award, Padma Vibhushan, Jnanpith and Magsaysay Award, among several others. Mahashweta Devi had been undergoing treatment at Kolkata's Belle Vue Clinic for the past two months. Doctors said she had been admitted with illnesses related to old age. Her condition had deteriorated as a result of blood infection and kidney failure.